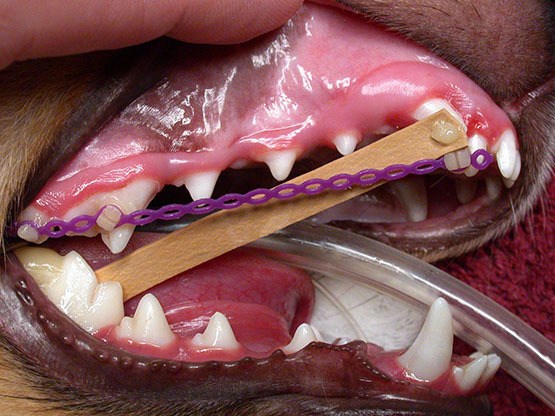 Orthodontics or braces can be placed in dogs and cats in some cases to avoid extraction by moving teeth. 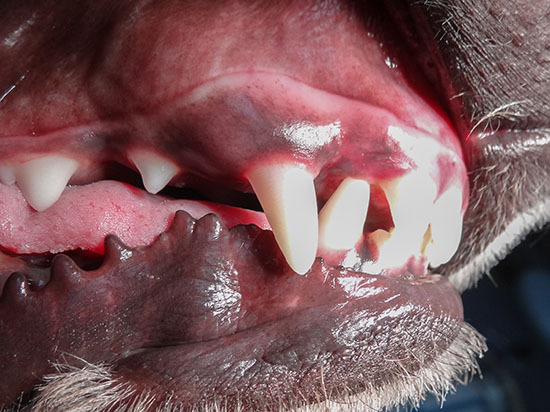 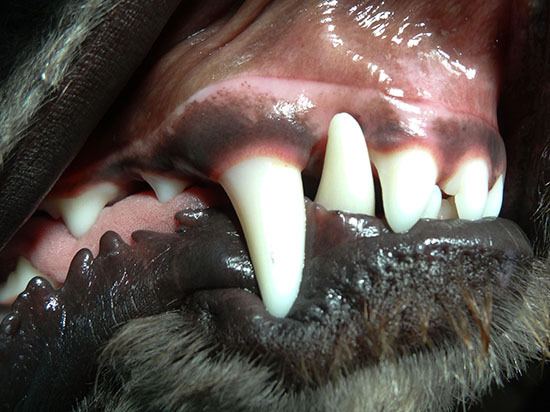 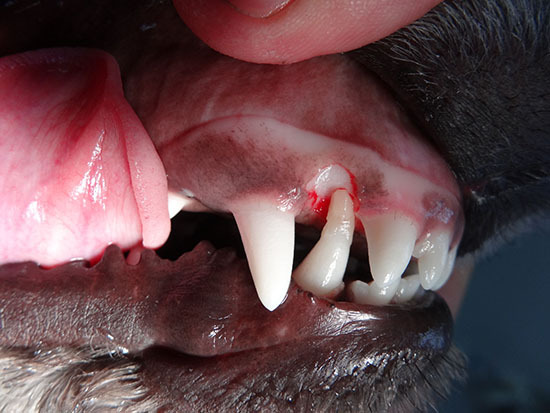 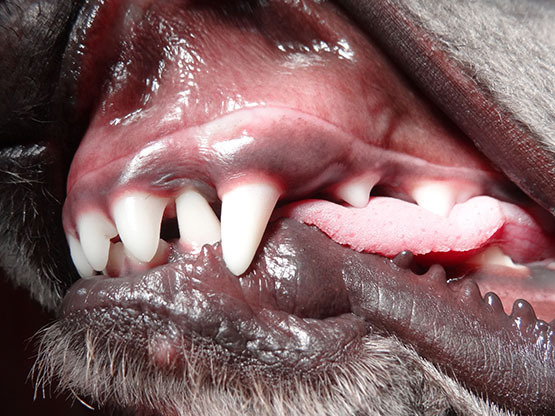 Base narrow canine teeth result in trauma to the hard palate. 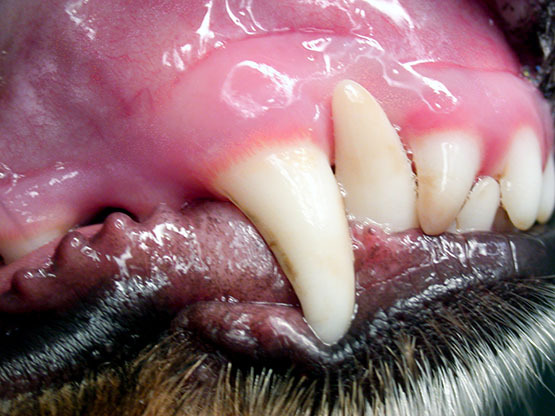 This patient has both lower canine teeth digging into the palate tissue. 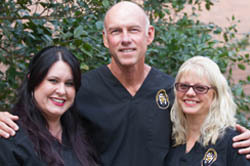 Following a nerve block, a groove is placed in the tissue to create an incline. 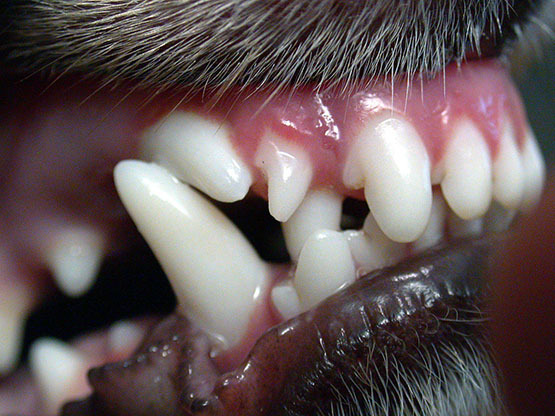 A composite is bonded to the lower canine tooth to allow the tooth move into the correct location when contacting the groove. 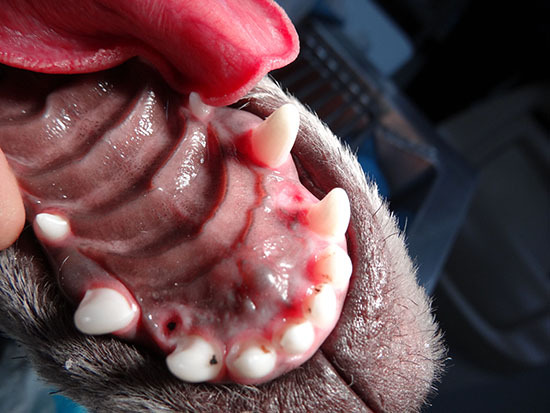 The composite is removed in 3-4 weeks and the patient’s palate trauma is resolved.